Nexus Production Group headed to Los Angeles in November to attend the American Film Market. While meetings were secured for their feature film, Friends, Foes & Fireworks, one sales agent took an interest in Daughter. Sarah and Ivan from NPG at Santa Monica pier after a successful day of meetings at AFM. Daughter is now non exclusively signed to Turn Key Films, a sales agent from Pittsburgh, PA in the USA who work with buyers and filmmakers from around the world. 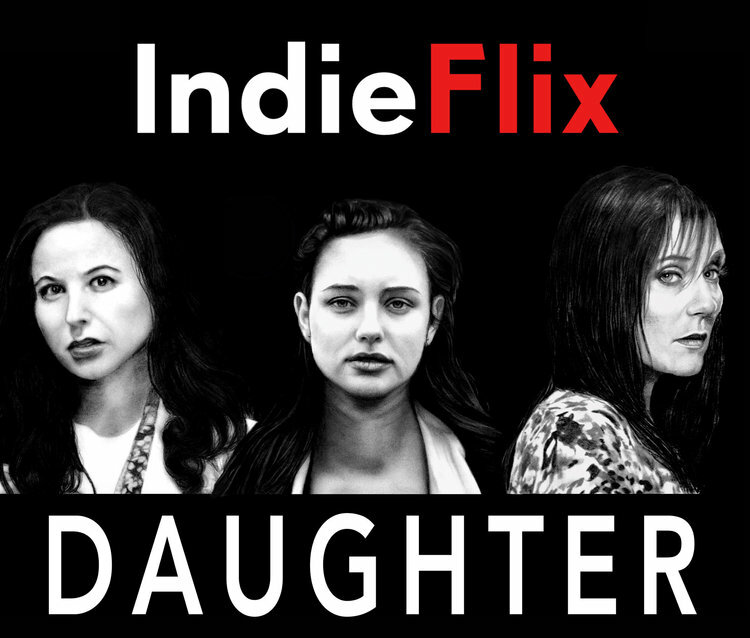 The latest development is that Turn Key Films have made Daughter available on Amazon and Amazon Prime for fans to stream directly though the platform. There are now many options for those who want to watch the film. To stream Daughter through Amazon, click here. Some more educational goals have been reached for Daughter during June/July 2017 and it is now official - Daughter has been picked up by BeamaFilm. This means Daughter can be streamed online for a small fee through the Beamafilm website and participating libraries can watch for free. Nexus Production Group thank Beama Film Director Gil Scrine and the team for taking on Daughter for their platform, which features a wonderful selection of educational films. At the end of March this year Nexus Production Group expanded Daughter's reach to a world wide audience by making the awareness project available for viewing though their Vimeo on Demand platform. This streaming service allows viewers to watch Daughter when they want and on any device that suits them. Since launching through Vimeo on Demand just over a month ago 107 links to Daughter have been sold, in 19 countries world wide including Australia, USA, New Zealand, Norway, Mexico, Brazil, Italy, France and Germany, as it stands on the day of writing this blog. Leading the race for sales is the US, which NPG speculate has something to do with Daughter's lead, Katherine Langford, becoming the "hottest thing in Hollywood" after landing the role of Hannah Baker in Netflix's teen drama 13 Reasons Why. Following the US in sales is Australia, Germany and finally the UK who are also embracing Daughter. NPG are excited by the surprises that keep springing up from this project, which they are very proud of. Surprises aside, in festival news, a big win for Daughter came just over a week ago, when the film received a Silver Remi award at WorldFest Houston under the category of longer short film - dramatic. This screening was also Daughter's American premiere, since the 2016 public premiere in Melbourne.